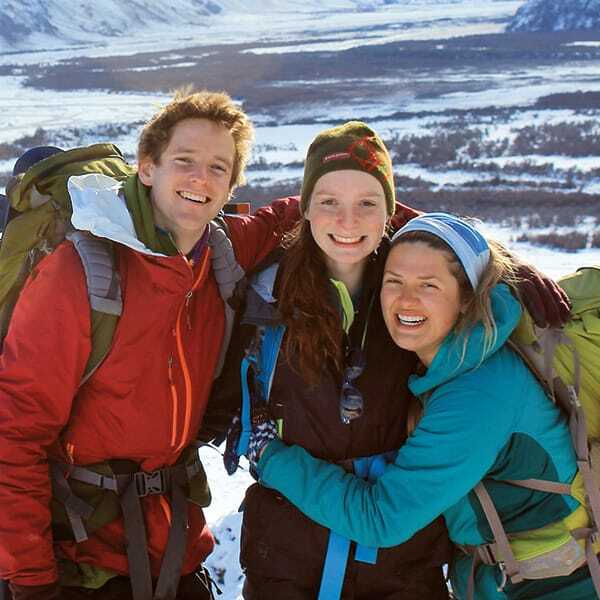 Join an Overland summer camp service adventure for teens in a country with great natural beauty, warm, welcoming people, and a rich, vibrant culture. In the mornings, volunteer alongside the other teens in your group to improve the community through light construction projects, wilderness trail work, and mentoring. Every weekday afternoon, study with native-speaker language instructors in small classes. On the weekend, experience the rainforest from a raft on the Savegre River and explore a national park on the Pacific coast. In each setting, improve your Spanish and immerse yourself in all Costa Rica has to offer: language, culture, wilderness and adventure. Costa Rica: warm and welcoming—an ideal destination for learning and service. In all of our travels, we’ve rarely seen a country and a culture as welcoming as Costa Rica. As a result, we’ll find that learning Spanish in Costa Rica is made all the more enjoyable. It’s still hard work—that’s to be expected—but the people and setting in Costa Rica make it fun, and because it’s fun, it’s just a bit easier. We’ll work with native-speaker instructors every weekday. This is the key: in small, private classes, we’ll engage with native speakers who are professional instructors using a proven curriculum. Outside of class, our learning continues. We’ll have opportunities for Spanish conversation through our group’s service work and daily interactions with Costa Ricans. Using our Spanish in these settings is conversational—there’s no pressure, just opportunities to practice, to improve. The service projects are varied, and the weekends are for exploration. There’s trail work and wildlife conservation in the lush rainforests of a nature reserve and along the Pacific coast. We’ll also connect with the community as we make time for soccer games with the local kids while doing service projects at two schools. On the weekends, we’ll raft the Savegre River, explore the beautiful Marino Ballena National Park on the Pacific coast and visit an indigenous community. We’ll do all of this in a supportive, wholesome Overland group. You’ll find fun and friendship with your trip mates, and a warm welcome from your Overland leaders—just like the Costa Ricans, they’ll make you feel right at home from the start. I really liked getting to know the Spanish teachers and speaking Spanish with them. Improve your Spanish, make a difference and forge lasting friendships while experiencing all Costa Rica has to offer. We will meet in San José and then head immediately to the charming city of San Isidro de El General, where we’ll spend the day reviewing our itinerary goals and getting to know one another. Every morning this week, we’ll work near San Isidro de El General at a nature reserve established to protect the ecosystem and watershed of San Isidro. On the reserve, we might do trail work, light construction work, general maintenance or painting. We’ll also hike on these very same trails, surveying our work, enjoying views of the beautiful San Isidro valley and catching glimpses of Mount Chirripó (12,533 feet), Costa Rica’s highest peak. We’ll take a brief placement exam, meet our language teachers and attend afternoon Spanish classes. On the weekend, we’ll spend one day rafting the Savegre River with professional guides. We’ll wind through the Costa Rican rainforest on exciting rapids, keeping our eyes open for wildlife. The next day, we’ll explore and relax on the beach at Manuel Antonio National Park. After rafting and exploring the beach, we will return to San Isidro to volunteer alongside community members and at a local school. Our projects might include mural painting, light construction or reforestation work. In the afternoons, we will continue to improve our language skills through classes that consist of cooking, dancing and a visit to the local farmers market. We’ll finish week two of classes with a visit to the Bribri Indigenous Reserve in the Limón Province. On the weekend, we’ll travel to the unforgettable shores of Costa Rica’s Pacific coast. Based near Marino Ballena National Park, we’ll hike, explore the beaches and swim along the coast. We may even see families of monkeys, whales and other wildlife. During our final week, we will return to our home base in San Isidro to continue to volunteer and learn in the community. We’ll work with the students and teachers at another nearby school and resume afternoon Spanish classes. We’ll also make time for a visit to the area’s natural hot springs. Before leaving San Isidro, we will celebrate three weeks of Spanish improvement with our teachers. After returning to San José, we will eat dinner in the city and celebrate three weeks of Spanish language skills, new friends and hard and meaningful work alongside our community partners. 15 nights in private group accommodations with bathrooms and showers. 4 nights in hostels in private group rooms with bathrooms and showers. Shorts suitable for daily activities including volunteer work and hiking. Linens and pillows are provided at all accommodations. We require that your child arrives with at least one year of classroom instruction in Spanish or equivalent experience (time spent studying abroad). Overland groups are divided into smaller language classes upon arrival. Classes focus on speaking and listening comprehension and accommodate varying levels of language abilities. No. 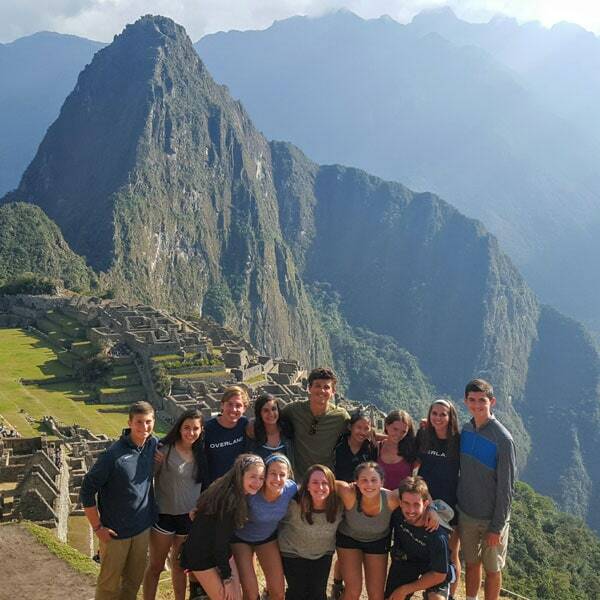 All of Overland's language programs require dedication to learning a language and appreciating a new culture. Although there is not a language pledge, classes are conducted exclusively in Spanish and your child will speak Spanish outside of class for approximately two hours per day. Overland partners with a language school in Costa Rica with professional, native-speaking Spanish teachers who create lesson plans to engage our groups. Overland leaders will sit in on classes, but the professional teachers are responsible for classroom language instruction. Teachers will typically join the group for activities outside the classroom several times throughout the program. What is the weather like on Language & Service Costa Rica? The weather on Language & Service Costa Rica varies. It is typically warm and sunny with temperatures ranging from the 70s to 80s in the morning followed by a period of rain in the afternoons, cooling to the 60s and 70s. You will need to arrange transportation for your child to and from Juan Santamaria International Airport (SJO) at trip start and trip end. We will provide more specific travel information once we have placed your child on a trip. Costa Rica uses the Costa Rican Colón. Some US banks may be able to order Colones. At various airports within the US, it is possible to exchange dollars for Colones. Students can also exchange money in airports throughout the US, or leaders can help students withdraw Colones using a debit card or exchange US dollars upon arrival in Costa Rica. Improve your Spanish while volunteering and exploring Costa Rica. Trips involving service work require a positive attitude and willingness to work hard as a volunteer. You should arrive eager to participate in a variety of service projects. You and your group might mentor elementary school students, work on a light construction project or volunteer at a nature preserve. The projects your group work on will depend upon the availability of service opportunities and the needs of local communities. As the summer nears, stay active through sports and exercise. Once your program starts, commit yourself wholeheartedly to your group and all activities. Overland's language programs require dedication to learning a language and enthusiasm about experiencing a new culture. Your classes will be conducted exclusively in Spanish and you will speak Spanish outside of class for approximately two hours per day. Your group will be divided into smaller language classes upon arrival; the classes will focus on speaking and listening comprehension in order to accommodate a range of skill levels. We require you to arrive with at least one year of classroom instruction, or the equivalent experience (time spent studying abroad, for example), in Spanish.